The content on EB5Visa.com is for informational purposes only. It does not make an attempt to interpret U.S. immigration laws or offer online legal advice. Prospective immigrant investors are strongly advised to consult their attorney or qualified legal professional to get more information about the EB-5 visa program. EB5Visa, LLC. is a for-profit business organization that offers certain information and services to potential immigrant investors. It is our policy and recommendation to advise and inform prospective immigrant investors to seek proper legal advice and services on any investment opportunity, regardless of the source of the opportunity. EB5Visa, LLC. and its affiliates disclaim any or all responsibility for actions resulting from the information displayed on this website or information received in writing while using this website. EB5Visa expressly disclaims responsibility for actions taken after receiving any literature from the site or affiliates. EB5Visa, LLC. informs all prospective immigrant investors that any information available on the website has not been verified or audited; and the site does not make any representation, expressed or implied, to the accuracy, truthfulness or totality of the information contained herein, and as such will not be liable directly or indirectly to any person or legal entity for providing inaccurate, misleading or false information contained herein. This website does not solicit to sell shares or securities of any type. The offerings, if any, mentioned on EB5Visa, LLC. website are private offerings that comply with the state and federal securities laws. 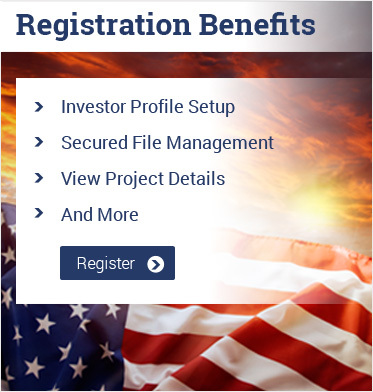 The website offers public information about EB5Visa, LLC. and its activities. The information contained in the website should not be construed as a solicitation to sell or buy securities. Any offer made can be made solely to qualified investors through confidential placement memorandum and associated documents. EB5Visa, LLC. does not and cannot guarantee any investment made by an immigrant investor in any investment project. Investors should be aware every investment involves a certain amount of risk. As such, investors could lose part or all of their investment. Hence, prospective investors are strongly urged to first consult their financial advisors before making any investment. EB5Visa, LLC. disclaims any responsibility for loss or damage of any type whatsoever occurring from the investment project mentioned herein. EB5Visa, LLC. holds the right to change, alter or correct any information mentioned on the website without prior notice. The information mentioned on EB5Visa, LLC. is for informational purposes and should not be construed as advertisement for legal, financial or tax purposes.